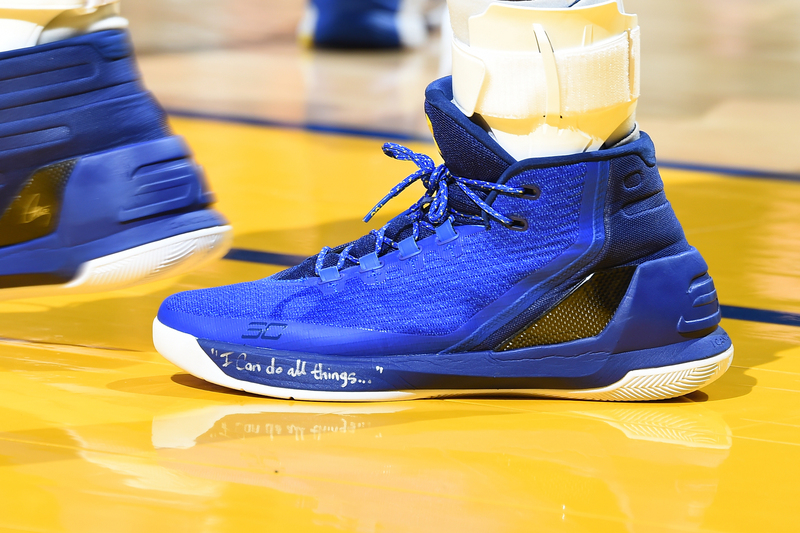 When Warriors guard Klay Thompson strode into the visiting locker room at Staples Center for shootaround last Wednesday, he found on the shelf above his locker a pair of size-15 Anta KT2 Whitehawks, white with a royal blue heel and yellow accents. 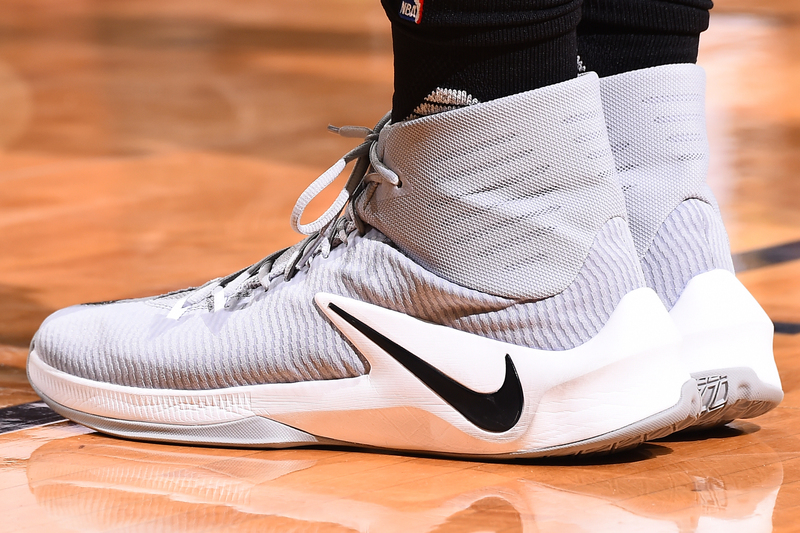 Eric Housen, who handles the team’s equipment, made sure he packed those shoes for the trip to Los Angeles because Thompson wore them while splashing 60 points in three quarters against the Pacers two nights prior. Thompson is not superstitious about his kicks, but clearly he felt comfortable in the Whitehawks. “They should be on ice,” Thompson joked, if not behind glass. The Dubs sniper had already turned his attention to another colorway of his signature shoe, the KT2 Make It Rain, featuring a blue gradient, a lightning graphic and a splatter pattern on the sole that evokes precipitation. Anta, the Chinese sportswear company that sponsors Thompson, was releasing the design in part to commemorate his uprising against Indiana. After a brief search for the Make It Rains during shootaround at Staples, Thompson retrieved them from his home in L.A. and laced them up in time for a nationally televised showdown with the Clippers. “It’s gotta be the shoes,” Mars Blackmon told Michael Jordan, a line that rings true 27 years later. There are myriad ways to measure the Warriors’ ample star power—statistics and salaries, TV ratings and jersey sales—but it’s instructive to start with their feet, and more accurately, the trunks at their feet. 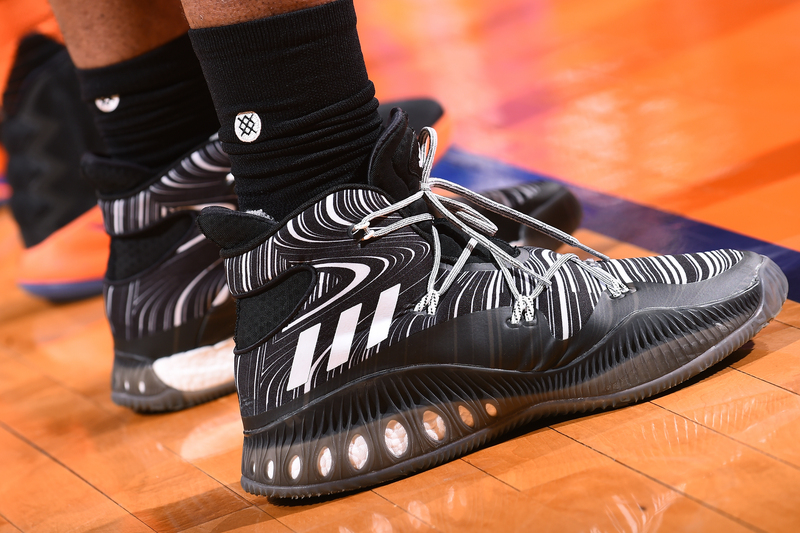 A typical NBA player, on a typical five-game road trip, will pack three or four pairs of shoes. Housen packs an entire trunk for guard Steph Curry, with 16 pairs of the Under Armour Curry 3s in his size-12.5, and another trunk for forward Kevin Durant, with 16 pairs of the Nike KD 9s in his size-18. 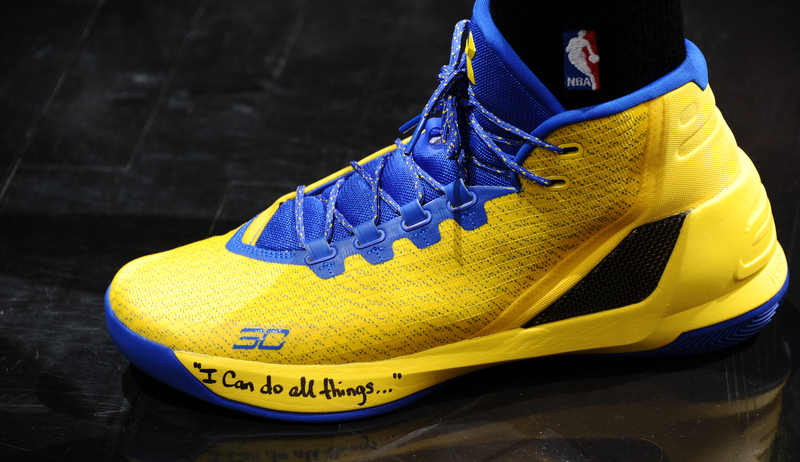 Regular players do not have signature shoes, much less shoe calendars, but Curry and Durant do. 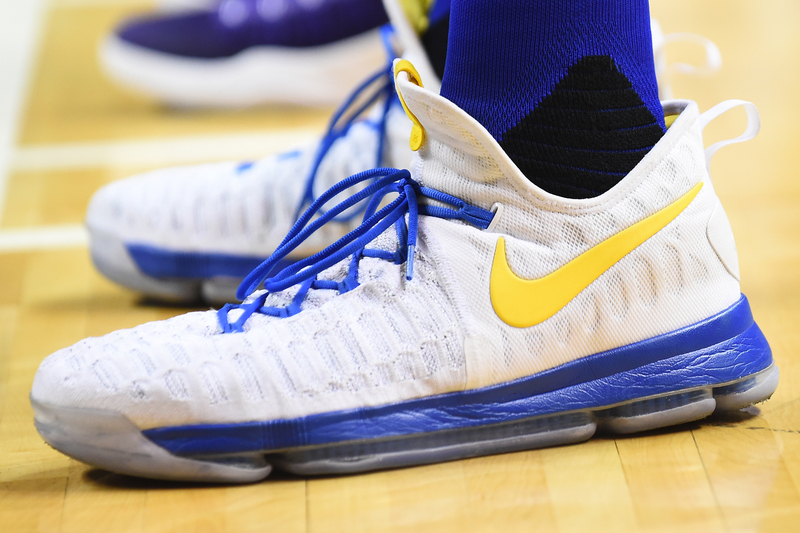 Before this season, Nike reps furnished the Warriors with a list of every model and colorway they envision Durant wearing in every game this season. On Dec. 20 against Utah, for example, he’s scheduled to be in white 9s with a blue swoosh, and on Dec. 22 against Brooklyn, gold with a blue swoosh. 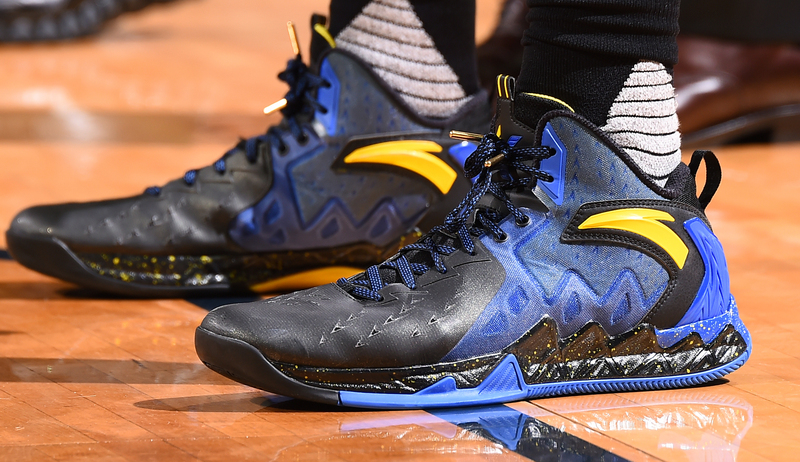 Under Armour does the same for Curry, updating two months at a time. Housen consults the list before placing the appropriate kicks at the designated lockers, making sure to switch Durant’s orthotics. “If Nike’s dropping something new, when the shoe comes out I always try to wear it,” Durant said. Last week, for instance, while Thompson was hanging 60 in his Whitehawks, Durant was unveiling a stylish burgundy colorway of the KD 9s called The Sauce. “But I need my shoes broken in first or I’ll go back to something I had before.” Durant used to deviate from the script based on how he performed in a given pair and whether his team won. He still deviates occasionally, based on comfort more than result. Durant has to practice in shoes before he plays in them. Curry is the opposite. He actually warms up in a low-top before switching to his more familiar mid, often wearing them right out of the box. Neither Durant nor Curry actually needs 16 sets of shoes for a five-game trip, and they’d never ask their equipment guy to haul around a separate trunk just for them. But Housen is cautious. He knows, when some Hollywood director sitting courtside at Staples asks for a souvenir, both players will reflexively jog to the locker room and grab a couple pearls from the black vinyl chest. Housen started working for the Warriors in 1986, when he was 12, winning a coin flip with a friend to become a ballboy. At 25, he was the head equipment manager, and for three years he lived in the team’s training facility. Former owner Chris Cohan once slept in Housen’s bunk bed while his kids threw a slumber party on the practice court. Power forward Adam Keefe napped there after his wife delivered a baby who wouldn’t stop crying. General manager Garry St. Jean moved in on the day of the trading deadline as he tried to jettison half the roster. In the early days, Housen could fit all the sneakers into a Gatorade duffel bag, including Chris Mullin’s Nike Air Flight 87s with customized leather. When the shoe industry exploded, and players became high-rise billboards, Housen didn’t really feel the reverberations because the Warriors lacked headliners. 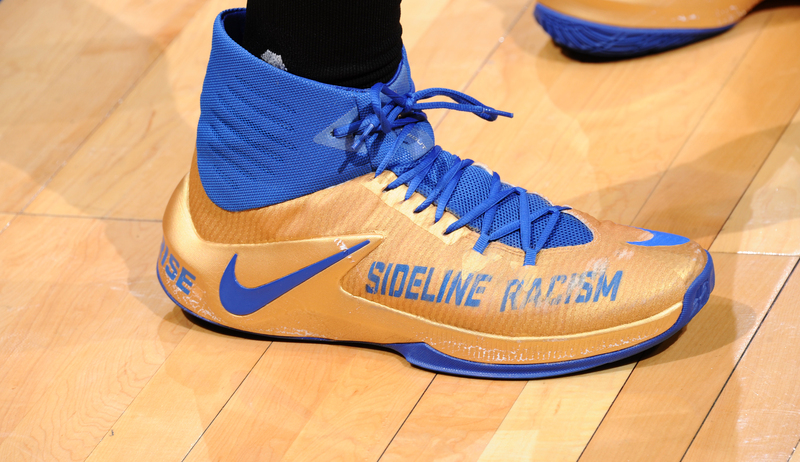 Now they have four of them, and it’s news when forward Draymond Green gets the words “Sideline Racism” emblazoned on his personal-edition size-15 Nike Zoom Clear Outs, as he did against the Pacers and Clippers. 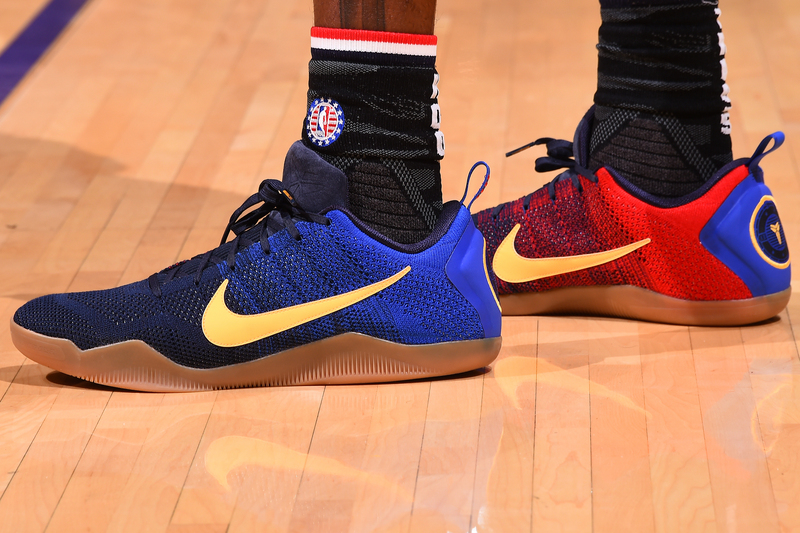 Nike has a Warriors rep and a Durant rep. Under Armour has two Curry reps. Anta has four or five officials who check in on Thompson. Housen’s inbox is jammed, but he’s not complaining. “These are good problems,” he said. Andris Biedrins, after all, could have rocked penny loafers at tipoff and nobody would have cared. A few of his peers can relate. 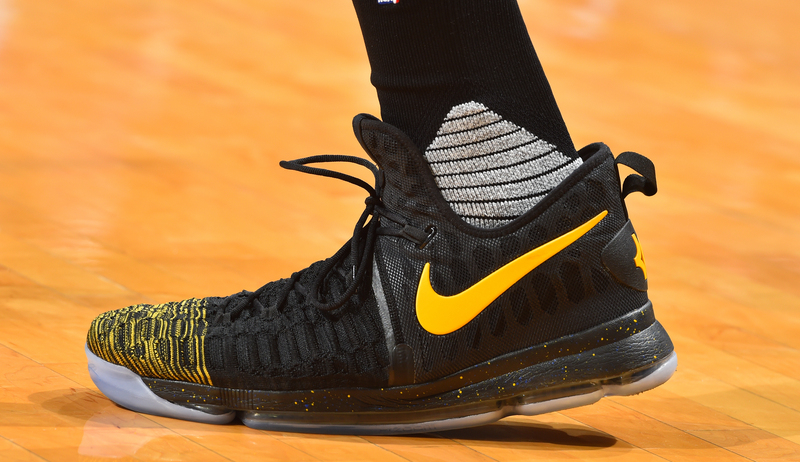 The Cavaliers’ Mark Cashman also follows a shoe calendar from Nike, for LeBron James and Kyrie Irving, and the Clippers’ Pete Serrano juggles a variety of brands. Serrano works with Jamal Crawford, who might wear five pairs of shoes the whole season, and Chris Paul, who wears a new one almost every game. “Chris will sometimes drop off 30 pairs at our training center and tell everybody in the facility, ‘Whoever wants them,’” Serrano said. “They’re gone in five minutes.” Serrano and Housen did not become sneakerheads by choice. It’s part of the gig. As Housen surveys the Warriors locker room, and the shoes in the stalls, assistant coach Ron Adams tries to decipher the language he’s using. 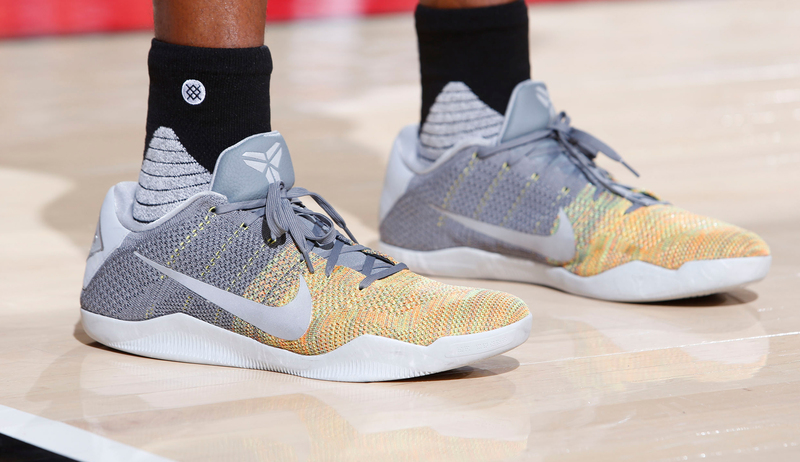 Housen explains that Andre Iguodala is stuck between two Kobes right now and leading toward a Flyknit. 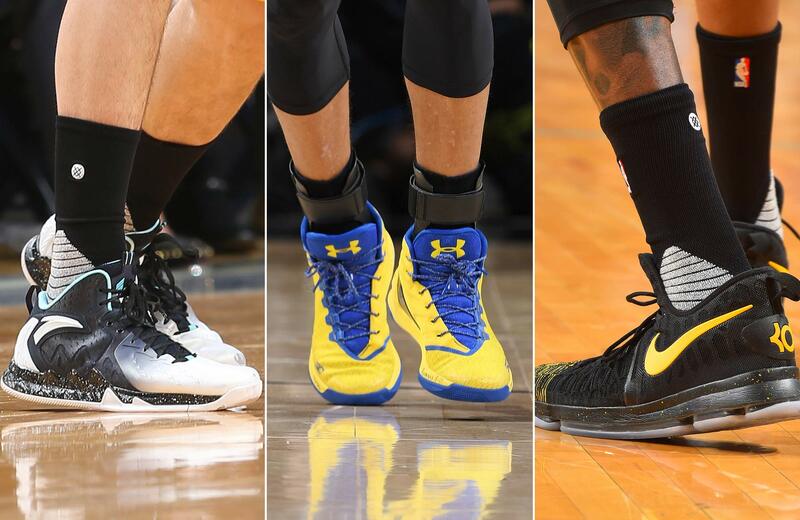 James Michael McAdoo is fluctuating between a Hyperdunk high and a Hyperdunk low. 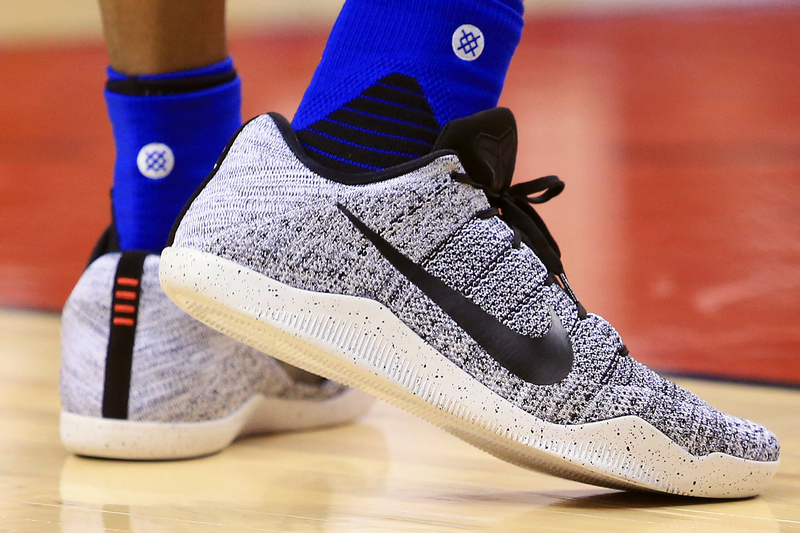 Shaun Livingston made it through all of last season with six Hyperdunks and is sporting a new model Nike sent him over the summer. “It would take a month to figure this out,” Adams said, bolting for the court.